Three Rivers Dental offers a variety of Comfy Fit Denture options to serve your denture needs. The newer options are flexible and removable and can be used temporarily or permanently. At Three Rivers Dental, our Comfy Fit Dentures options range from premium to basic. Comfy Fit Premium dentures look natural and realistic, provide a secure fit, and very comfortable to wear. As a result, you, the client can choose from several shades of acrylic and also be confident in knowing that we offer some protection against staining and mouth odors. Our premium dentures come with a free annual denture cleaning. As with all of our denture options, a warranty is available. 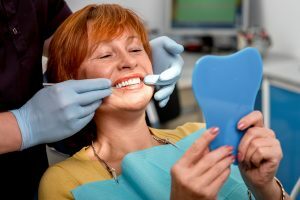 To find out the best fit for your dental needs, please visit our website to see all of our options. Make your appointment today with Three Rivers Dental!